The Philadelphia Flyers announced today that two players – 5-11, 190-lb F/D Matt Mangene from the University of Maine and 6-3, 190-lb defenseman Matt Konan from Medicine Hat of the Western Hockey League – have signed future entry-level contracts with the organization, according to general manager Paul Holmgren. Mangene, 23 (3-12-89), recently completed his junior year at Maine, where he appeared in all 40 games for the Black Bears this season. He recorded 16 goals and 18 assists for 34 points while seeing time both at defense and forward for head coach Tim Whitehead. 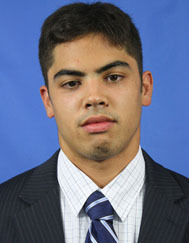 In 105 career games at Maine, Mangene scored 20 goals and added 35 assists for 55 points, along with 110 PIM. Mangene will report to the Flyers’ American Hockey League affiliate, the Adirondack Phantoms, for the remainder of their season. 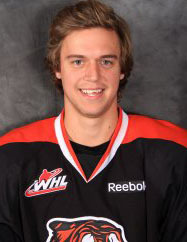 Konan, 20 (9-3-91), is currently in his fifth and final season with Medicine Hat. During the 2011-12 regular season, Konan recorded nine goals and 45 assists for 54 points while appearing in all 72 games, which tied for eighth in the WHL in scoring among defensemen. Medicine Hat recently swept Saskatoon in the first round of the WHL playoffs and is set to begin a second-round matchup against Moose Jaw on Friday. In 301 regular season games with Medicine Hat, Konan scored 19 goals and added 88 assists for 107 points, along with 333 penalty minutes. Philadelphia Flyers ticket information is available now by calling 215-218-PUCK (7825) or visit PhiladelphiaFlyers.com.